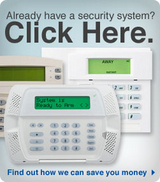 BBS Security Systems (BBS) is a Connecticut based premier home & business security systems and alarm 24 hr. monitoring solution provider. BBS offers Connecticut residents & business owners a convenient one-stop shop for Home & Business Security Systems, Home Medical Systems, Home Control Solutions, Video Surveillance, low cost 24 hr. 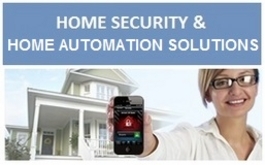 Alarm Monitoring, Lifestyle Management Solutions, Remote Security Services, Home Alarm System & Interactive solutions. At BBS Security, our professionals are known for their sales knowledge, design and installation expertise and we make our customers our top priority. We have built a reputation for commitment to high caliber, consistent and continuing customer service and when you need help, we will always be there starting during our initial meeting and continuing with after-sales service. We put our customers ahead of everything else and give you the personal service that you require and the attention that many others have left behind. To learn how BBS can help you find the perfect solution and make your home or business more secure...contact us today! Tired of over paying for your security services...it doesn't have to be that way!!! when they compared our service plans to other providers. BBS Security Systems, LLC guarantees that the pricing of our security systems are competitive and will match any bonafide written installation offer from a competing home security company for a period of 30 days from the date of the alarm agreement. In order for this guarantee to be effective, the competitive offer must be for equipment and services that are substantially similar to BBS offerings. Some homeowners looking to install a home security solutions may be thinking about doing the job themselves to save money. Although a do-it-yourself security system sounds great, installing your own security systems could compromise your family’s safety. For one thing, if you’re not a security professional, you might very well install your alarm system incorrectly. Connect one small wire the wrong way and your family and your property won’t be protected. Insurance companies typically offer discounts from 5% to 20% on homeowners insurance when you install a monitored security system. Check with your insurance company to learn which type of system will net you the greatest savings. * 24/7 standard monitoring rate of $19.99 per month, requires annual pre-payment of fees and customer to provide and maintain home or office land line telephone service. Upgrade to GSM Radio communications is available, click here for more details! © 2017 BBS Security Systems, LLC. All rights reserved. BBS, the BBS logo, BBS Better Be Safe and 203 879 5408 and the product/service names listed in this document are marks and/or registered marks. Third party marks are the property of their respective owners. 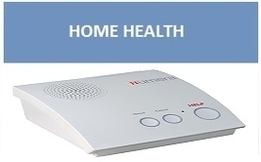 Home Alarm System, Lifestyle Management Solutions, , Home Alarm System, Alarm Monitoring, Home Control,Total Connect, Wolcott, Bristol, Cheshire, Southington, Plainville, Honeywell, GE Security, Video, Remote Services, Automation,Real Times Alerts, Automation, Home Control Solutions, Life Safety, Intrusion Detection, Wireless Security, Video Security, Remote Video,, Alarm Monitoring, Home Control Solutions,Connecticut, Home Alarm System, Connecticut, Remote Home Security, Remote Home Control, Automation.